Condo associations may not represent unit owners in property tax appeals brought by the county appraiser, even if it means flooding the courts with hundreds of nearly identical lawsuits, a Florida appellate court ruled. The Third District Court of Appeal on Wednesday ruled against two Miami Beach condo associations, finding each individual unit owner must defend a case filed by the county property appraiser challenging an administrative board’s decision to reduce the assessed value of the units. The case was the first one in Florida examining the intersection of condominium law, which allows associations to represent unit owners in lawsuits involving “matters of common interest,” and the law governing property appraisers’ appeals. Residents of the 140-unit Central Carillon Beach Condominium and 2201 Collins Avenue Condominium, which has 180 units, cannot join one action as a class because the law requires a taxpayer to defend an appraiser’s assessment appeal, the court ruled. The judges recognized the decision might seem nonsensical, particularly because the initial administrative filing was properly made by the two condo associations before the Miami-Dade County Value Adjustment Board. But the law is the law, the court ruled: A taxpayer must defend a property tax appeal brought by the appraiser. 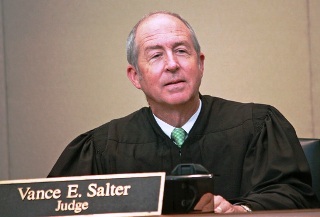 “Although we appreciate the associations’ arguments that judicial efficiency would be better served by allowing the associations to represent the … unit owners as a defense class in the eight lawsuits brought by the appraiser, those arguments must be presented to the Legislature rather than the courts if they are to be effectual,” the court wrote.